DISCLAIMER: Hudson parts books as well as the "Standard Catalog for American Cars: 1946-1975" were the main sources for the following serial number information. HudsonJet.net provides this reference as a courtesy and has made every effort to be accurate. Beginning in 1935, Hudson used a numerical system for identifying models. The first number denoted the year, the second the actual model/series. For a 1935 Hudson Six, the serial number would begin with "53", the "5" for 1935 and the "3" for the model number. The remaining digits denote the actual serial number. For the 1930's cars built in Canadian plants, the additional insertion of the letter "C: would be between the year/model designator and the actual series number. Variations on the numbering system did occur and are addressed below per year. An alpha-numeric designation system was used from 1951 through 1954. You can determine the year by the model designation. This is true for the larger stepdowns as well as the Jets. When reading the serial or engine number, which are identical, of any Hudson Jet remember the first number and letter denotes the chassis Model as outlined [in example]. The remaining numerals comprise the actual serial number of the car, and these figures run in a single series regardless of model. The serial number is stamped on a metal plate fastened to the right front door hinge pillar. It may be observed by opening the right front door. On "202" engines, the engine mumber, which is the same as the car serial number is stamped verticlly on the front face of the engine block at the upper right hand corner. EXAMPLE: For Jets: 1953 - 1C and 2C; 1954 - 1D, 2D, and 3D. 1951 Hornet - 7A; 1952 Hornet - 7B; 1953 Hornet - 7C; and 1954 Hornet 7D. Notice that the numbers up to the beginning of WWII follow the system of using the second digit of the model year as the first digit in the s/n and that in 1946/7 that wasn't true. They couldn't use "6" as that was the first digit in 1936 models....same for '47 (7). Since the production plans for 1943 were put on hold and the serial numbering system had already been established as 31, 32, 33, etc., they maintained that plan for model #s for '46. Production, or plans for it, resumed in late '45 but the s/ns for them couldn't be "5*" 'cause the 5* was already used in 1935. So, they used the 3* as the model numbers and 5* as the serial numbers. This explains why the '46 Hudson all have 3* model numbers and 5* serial numbers. Of course, 1947 was a similar dilemma with the "7" having been used up so they just added the 1 and made them all "17" serial and model numbers, avoiding any conflict with previous numbering systems. Similarly, the system had to change again in 1951 since the "51" had already been used in '35, making it impossible to continue the numbering system of '48-'49-'50. Same for '52, '53 etc. Hence the ABCD designations. 1946 models used the number "3" to denote the year in the vehicle identification number. The numeral "5" was the the first number in a two-digit model designation and so the second number of the model designation was used in the serial number. For example, a 1946 Super Six was labeled 31-4456, with "3" identifying year, "1" being short for Model "51", and 4456 being the actual serial number. 1947 models used the number "17" to denote the year in the vehicle identification number. The third number denotes model designation. Note: On chart below, X Denotes Year/Model combination. 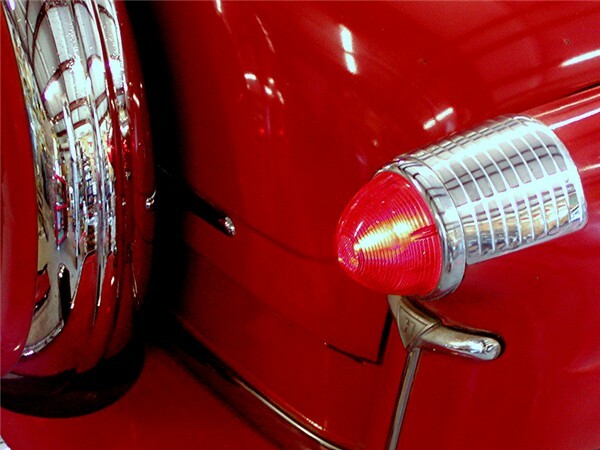 1948 models used the number "48" to denote the year in the vehicle identification number. The third number denotes model designation. For example, a 1948 Super Six would begin as 481 with the following numerals being the serial number. 1949 models used the number "49" to denote the year in the vehicle identification number. The third number denotes model designation. 1950 models used the number "50" to denote the year in the vehicle identification number. The third number denotes model designation, except for the Model 50A Pacemaker. Note: On chart below, X Denotes Model Number. Numbers for Convertible and Hollywood are approximate. If you look at the 1953 Starting Serial Numbers chart above and see the line that reads 7C Hornet 202917, you'll realize this particular Hornet was the FIRST off the assembly line for the '53 run! I have also tried to provide a current location of each vehicle. 216436 2C Sdn - Can. 231587 2C Sdn - Can. 250313 2C Sdn - ?? 257553 2C Sdn - Can. 258549 1C Sdn - Can. 261420 1C Sdn - Aus. You'll notice that the 1954 production run lasted from August 1953 until October 1954, the longest in the company's history. (2)269060. The first number (2), aka 2D, shows that we have a Super Jet. The remaining numbers (269060) are given to cars in numerical order as they roll of the assembly line regardless of model. Knowing the August serial numbers started with x269060, this particular Jet was the First Hudson off the assembly line for the '54 run! Remember that ALL '54 models have D as part of their alpha-numeric designation. So when you see (1), (2), or (3) preceding the serial number think of it as a 1D, 2D, or 3D. Hornet serial numbers would be (7)xxxxxx, as in 7D. HOLLYWOODS² Unknown None Unknown 1,263? Hudson-Essex, which later became Hudson Motors of Canada, began assembling Hudson cars in Tilbury in 1932 in a building owned by the Canadian Top & Body Co. The first models were a series of Hudson Eights. Production ceased in 1941. Post-war operations began in 1950, but ceased in 1954 when Hudson and Toronto Based Nash Motors of Canada Ltd. merged to form American Motors (Canada) Ltd. The entire company moved to the Toronto area. I'm curious if anyone has any further information on the Hudson factory in Canada. Moreover, I'm curious about the VIN numbering system. What I�m really wondering is how many Jets rolled out of Canadian plants that are in addition to the American production count. Range Unknown 4058 Sdn- CAN.